We will beat any written quote that is verified!!!! Thecatshack offers outdoor cat enclosures for all kinds of cat run needs. We also offer cat netting installation service. We have been serving Melbourne and all outer Melbourne regions for years. We have a doorstep delivery service. The trend of having a cat run is becoming more and more popular. By installing a cat enclosure, you can help your feline enjoy the outdoor environment without exposing him/her to predators or other felines that may pose the threat of a fight and injury. You get peace of mind and your cat gets to live outdoors which is always a very exciting thing for animals. Made from high-quality Australian steel, our enclosures are loved by all cats. We specialize in outdoor cat enclosures in Melbourne that can withstand all types of weathers and serve as an adventure playground for your dearest pet. Browse our website for a variety of designs or get in touch with us to arrange for a personal inspection of our collection. 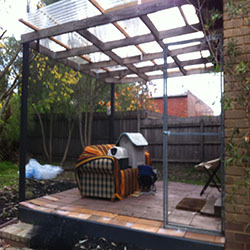 We offer Cat Enclosures in Melbourne that connects to your home so that your cat can always stay close to you. You can feed her/him, you can see him/her and you can touch her/him whenever you want. One look at enclosures will tell you that we pay very close attention to the well-being of the graceful domesticated animals. We see to it that the feline enjoys fresh air but doesn’t get bored. We arrange playthings for your kitty and can even install a door to your house and a runner to connect it. Our range includes enclosures in various colors and galvanized and even powder-coated finish. If you are looking for a particular color to match the colors of your house, that can be arranged too. We do not like to limit our range to some specific sizes of enclosures. That’s why you will find a variety of cat enclosure sizes here at TheCatShack. 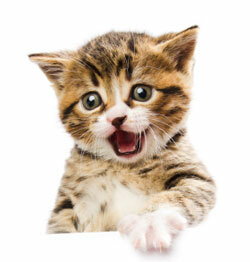 Not only homes, but our enclosures are also available to retirement villages, catteries, and breeders. We know that the many creative ways in which cat netting installation can be done. Cats love nothing more than sleeping in the sun. Our range comes with accessories for your cat’s entertainment and comfort too so that when he/she is done sleeping, he/she can play or explore.